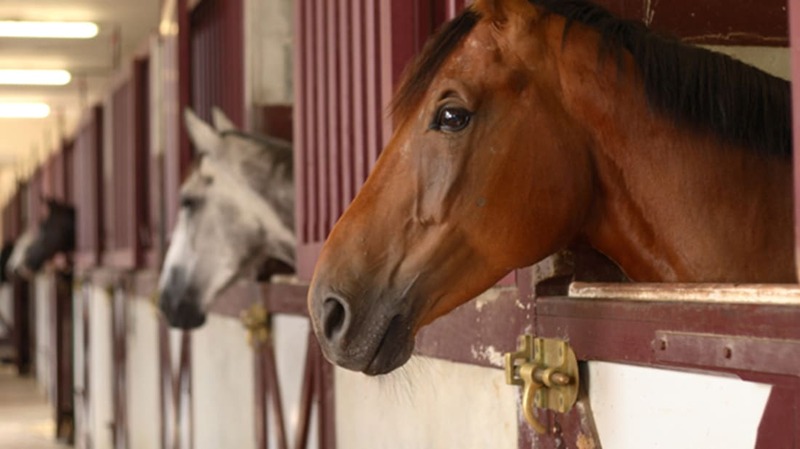 University of Sussex researchers are giving a new meaning to the term “horse-faced.” A new way of classifying horse facial expressions laid out in a study published in the journal PLOS ONE is designed to standardize research on equine psychology and cognition, eventually helping even laypeople understand what might be running through their horse’s brain. The systematic model, EquiFACS (a human version, Facial Action Coding Systems, has been around since 1978), is a comprehensive list of all the different facial expressions domestic horses are capable of making. The scientists dissected a horse head to better understand its musculature, and collected 15 hours of video footage of 86 horses interacting in a variety of situations to create a kind of encyclopedia of possible equine facial expressions. Some of the facial expressions horses made were similar to humans, even using analogous facial muscles (like pressing the lips together or stretching the mouth). However, the researchers didn’t code what the facial expressions meant in terms of horse behavior, just what they looked like, so it’s impossible to say how the horse expressions might differ from similar human expressions in practical use. Horses are social herd animals that primarily experience the world through sight, making facial expressions and body posture especially important communication methods. The study confirms that horses have a wide range of facial expressions at their disposal. Humans display 27 of these Action Units, but horses have 17, a fair number compared to chimps (13) and dogs (16). If you make a face at a horse, chances are he can make it back at you.